This blog post is brought to you in collaboration with Vincent Trading. As always all opinions and photos are my own. Thank you for supporting the brands who support this blog! I design the furniture, inspiration tends to come from old traditional methods alongside requirements in our own home. Sometimes I am just inspired by a piece of timber at a certain size. Once it’s designed Mike looks over it to see what is possible. We look at the timber we have or source scaffold boards (all our boards come from Cornwall and the boards have only been used for a few weeks before it is deemed unsafe for site and we buy them). If neither of these options are suitable we may also look at pallet wood. For bespoke items we sometimes need to use other timber. We always look at a sustainable options and we try to only use UK grown timber from a PEFC and FSC certified company. This little bench made out of reclaimed scaffold boards can serve as a side table, stool, bedside table. Nothing gets wasted at Vincent Trading! 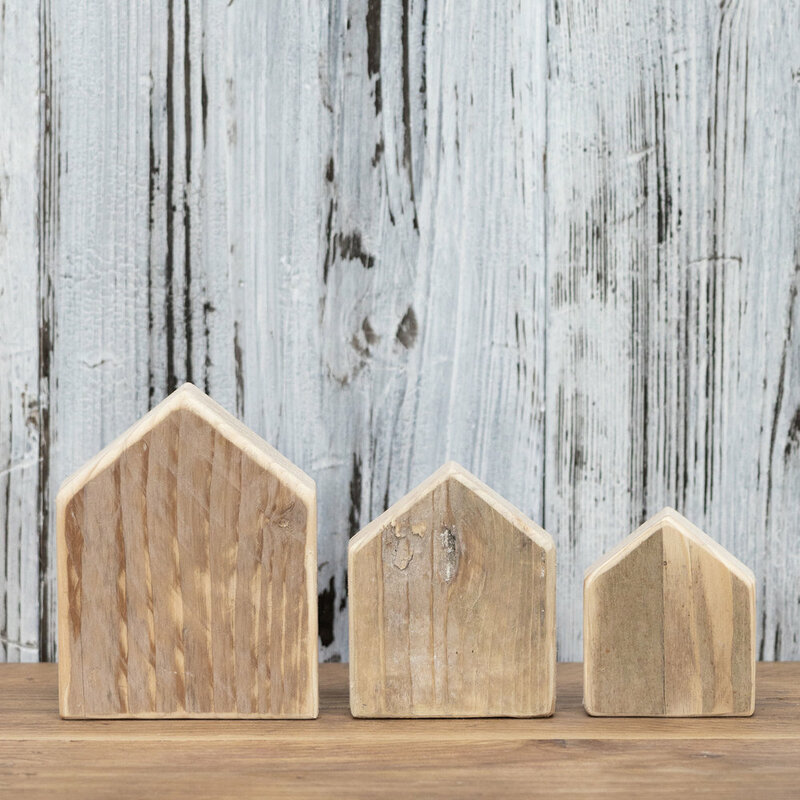 These super cute little wooden houses are made from off cuts from boards. So what do you think? Which is your favourite piece? 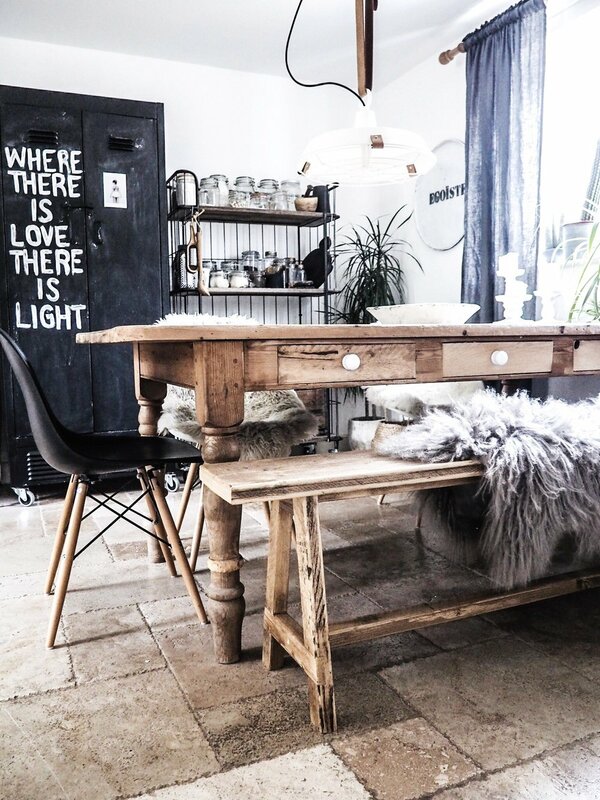 Of course mine is my bench which takes pride of place in the kitchen. This bench is a firm favourite of mine and it is hard to believe it started life as a scaffold board! 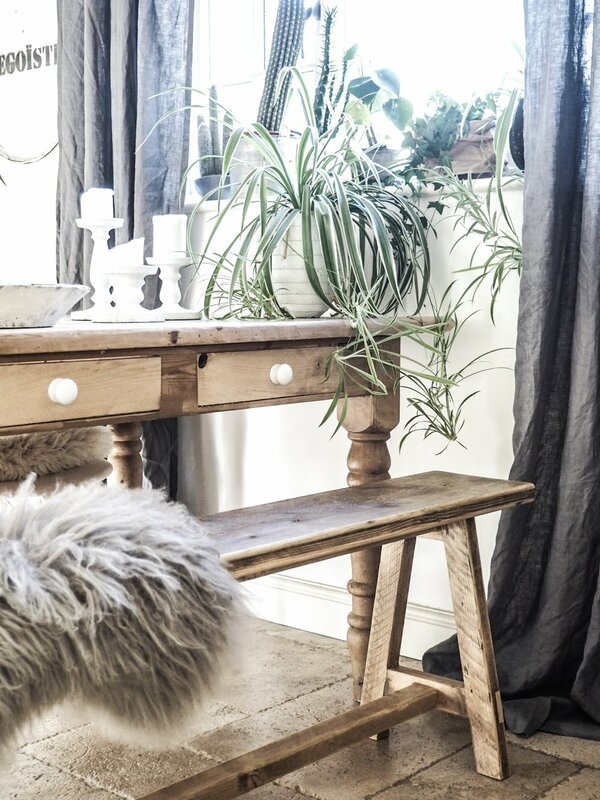 Rustic to perfection it sits beautifully with my old farmhouse table rescued from a skip! The bench can easily accommodate 3 people (or 4 small bottomed individuals!) Each bench is lovingly handmade to order and you could customise it if you wish! Vincent Trading are also on my favourite platform, Instagram go give them a follow right here.